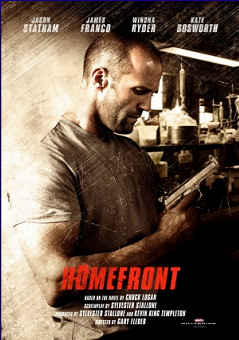 Today with the movie 'Homefront' we have a Jason Statham movie and Jason Statham rarely, if ever, disappoints. This isn't to say that every Jason Statham movie we've seen is a good movie, oh good heavens no, but it is to say that Jason, maybe more than any actor in the history of movies is so consistent and constant in what he does, that he's a factor in a movie that we don't have to worry about. Usually it's the stuff around Jason which makes a movie good or bad, not necessarily Jason himself. 'Homefront'… well… I think it is a bit of a disappointment because there are some things in it which should've made it better than it was, as opposed to the completely basic action set piece that it turned out to be. Today's badass that Jason is playing is Phil Broker, and undercover narco about to bring down a biker led meth lab. The sting goes all to hell, basically with armor clad DEA agents allowing bikers to walk up to them and casually shoot them in the head. One DEA agent, in the midst of bullets flying, death, and bloody destruction all around actually yelled 'Freeze!' He got murdered. During this op the leader of the gang watches his son get gunned down, because his son is stupid, and he blames Broker and swears undying revenge. Having had enough of this, Broker retires, along with his ten year old daughter Maddy (Isabella Vidovic) to the bayou to ride horses and do other stuff that doesn't involve having a real job, until that fateful day that Maddy retaliates against a bully. Turns out this bully was the child of Cassie Bodine (Kate Bosworth) and this sets in motion a series of very unfortunate events for the Brokers. Cassie wants revenge against Broker, and thus contacts her meth cooking brother Gator (James Franco). Gator discovers some info about Broker's previous dealings which could be beneficial to his meth dealing distribution efforts and thus contacts his girl / meth whore / biker groupie Sheryl (Winona Ryder). Turns out Sheryl used to kick it with the head of the currently imprisoned biker gang and gives the current biker gang leader Cyrus (Frank Grillo) the heads up and now is really looking forward to ending the lives of Broker and his entire bloodline. The bikers have Broker severely outgunned, outmanned, out flanked and any other kind of advantage you can think of, plus Broker has the misfortune of trying to protect a hysterical, unarmed ten year old girl. What chance could he possibly have? I'm sorry, I'm laughing uncontrollably right now. Those bikers have no chance. 'Homefront', directed by Gary Fleder and screenwritten by no less an action luminary than Sylvester Stallone himself, is pretty darned basic action fare when you get down to it. For starters we have Jason Statham playing a razor stubbled, retired, balding, not very tall, borderline invincible badass. Think he can do that? Sure he can. It would help us, as film watchers, if at some point we actually feared for the life of our hero… say when three bloodthirsty, armed, inbred biker dudes have Broker with his hands zip tied behind his back, drowning him, and punching him in the face… but we knew he had them exactly where he wanted them. The fact that we know what we are going get, as far as basic action sets in this movie, is neither a good thing or a bad thing, it's just a thing that we know is going to happen. We need other stuff to raise this movie up. But this is where we are disappointed because this 'other tuff' should've been James Franco playing a character called Gator Bodine. Now I've seen 'Pineapple Express' and 'Spring Breakers' and I figured that this was something that my man Franco would've chewed up, spit out, picked up what he spit out and chewed it up some more, but Jimmy never did completely embrace his inner meth dealing hillbilly in this movie. Kate Bosworth on the other hand? Since she is naturally rail thin, this girl did bang up work as a methed out, completely unstable, PTA mom. Wynona Ryder did well too, maybe not quite matching Ms. Bothworth's level in methed out intensity, but she did well. We did like Frank Grillo's menace as one of our heavies in this movie, but Mr. Grillo's bad guy mojo is geared more towards mob heavy than Biker Gang heavy. Thus the ultimate problem we had with 'Homefront' is that there just wasn't an appropriate foil to offset Statham's stock action hero character.  And we also didn't care too much for the neat and tidy ending either, though we knew it had to happen this way. 'Homefront' gave us what we expected, basic, standard, linear, action fodder. If only James Franco had dug a little deeper, which I know my man can do, this might've been a slightly better Jason Statham movie as opposed to just another Jason Statham movie.